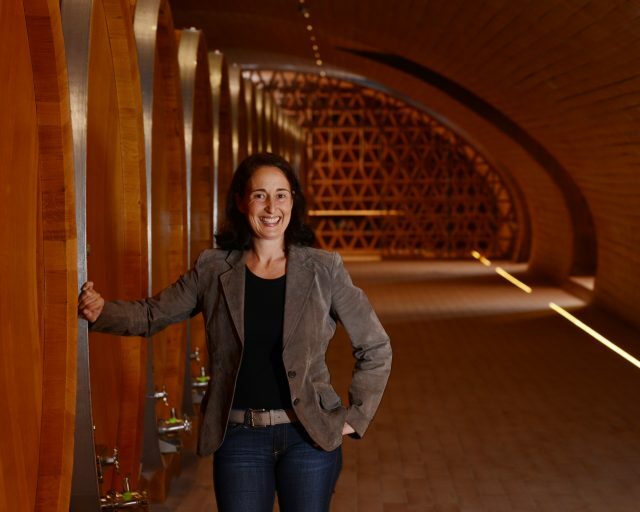 Last July Albiera Antinori made history when she took over from her father, the Marchese Piero Antinori, and became the first female president of the family-run company in its 632-year history. A 26th generation member of the Antinori family, Albiera is making a concerted effort to get the Antinori name known in Asia, particularly with top wines Tignanello and Solaia. She helps to oversee 1,800 hectares of vines in Italy, along with Antica estate in Napa Valley, Col Solare in Washington, Albis in Chile and vineyard projects in Hungary and Romania. Albiera’s sisters Allegra and Alessia are also both involved in the family business. “We are a generation of three sisters, so it’s been a generation of women for a few years. Women do have this tendency of seeing things moving along with results over a longer period of time,” Antinori says. “But in our case, patience is in our DNA. The wine world is a business where the results you expect to see are not in a few years, but in a generation. “It is important that these decisions are made with the eyes of a generation before and maybe perhaps with the eyes of a future generation also. There has to be respect for the generation after as well as respect for the ones before,” she adds.